A Mobile County science teacher received the nation’s highest teaching honor at White House ceremony on Wednesday. Chasity Collier, who teaches at Dawes Intermediate in Mobile, was presented the Presidential Award for Excellence in Mathematics and Science teaching. She also received a signed citation from President Donald Trump along a $10,000 grant from the National Science Foundation. 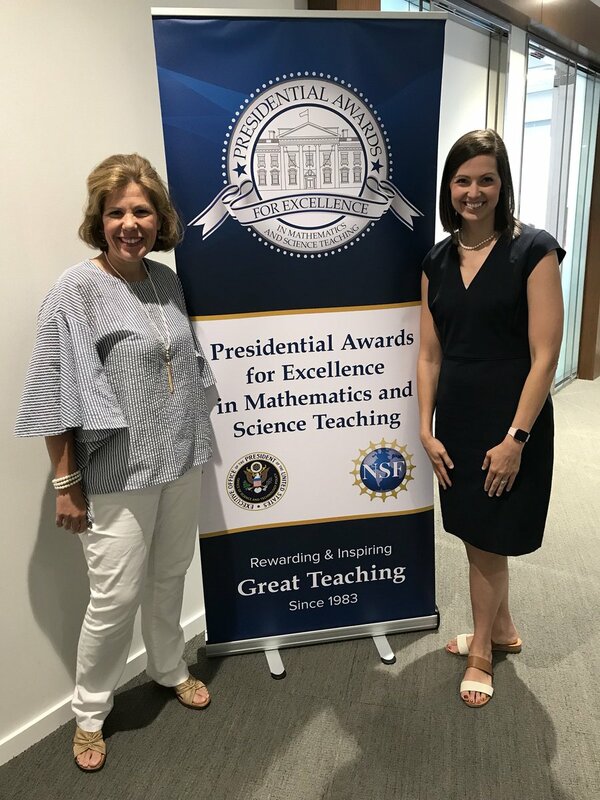 “So humbled and honored to represent Alabama as the Presidential Awardees for Excellence in Science and Math Teachers @AlabamaDeptofEd @MobilePublicSch @HES_hsimpson #Nsf #PAEMST,” Collier tweeted Tuesday ahead of Wednesday’s award ceremony. Collier isn’t a stranger to the teaching limelight. She was Alabama Teacher of the Year for 2017-2018. She was among 104 recipients of the coveted award this year.